$49.95 Note: This product can only be redeemed and shipped to addresses in the USA's 48 contiguous states. 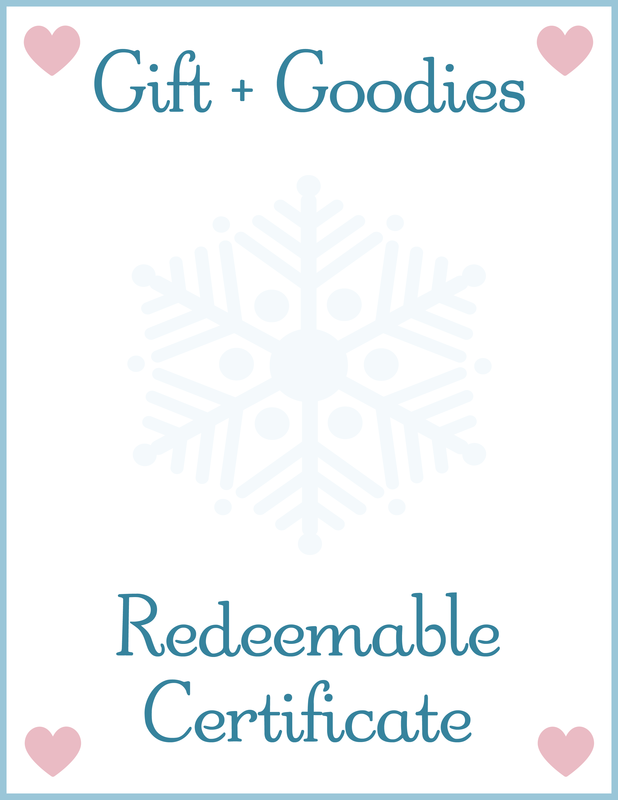 A Snowflake Stories Gift + Goodies certificate makes the perfect last minute gift because you can immediately download a certificate and pop it into an envelope you have on hand just before you run out the door. The certificates make a great gift for any holiday or birthday, as well as for welcoming a newborn into the world or congratulating a child on becoming an older sibling. So what do you get when you order a Gift + Goodies certificate? A gift certificate + informational sheet – This can be downloaded immediately after purchase. A gift certificate with the unique code (required for redeeming a book) + informational sheet – This will be emailed to you within 24 hours after purchasing the Gift + Goodies certificate. A bookmark and sticker which match the book – These goodies are mailed out directly to the recipient of the book once the book order is completed. Gift and Goodies certificates are valid for one calendar year from the date the certificate is purchased. Books and goodies can only be delivered to addresses in the USA’s 48 contiguous states. Certificates are not refundable or redeemable for cash and have no cash value. For your convenience, all of the terms and conditions are stated on page 2 of the certificate. Unused, lost certificates will be replaced if the appropriate identifying information can be provided; however, stolen certificates or certificates used without the recipient’s permission will not be replaced.